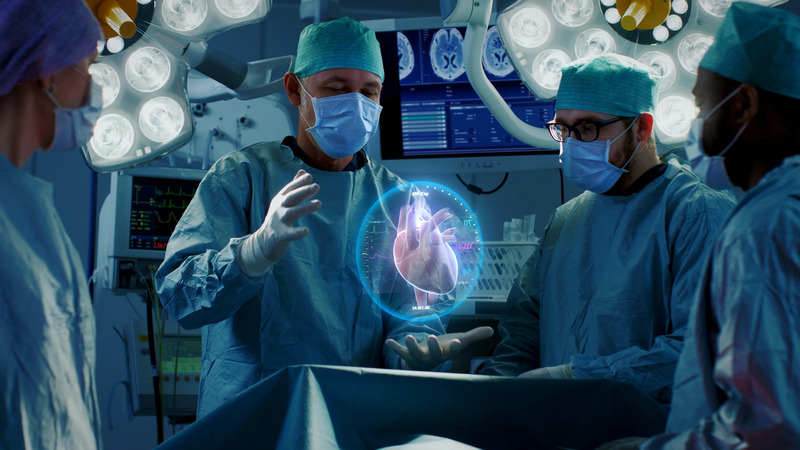 Surgeons Perform Heart Surgery Using Augmented Reality Technology. Description: Surgeons Perform Heart Surgery Using Augmented Reality Technology. Difficult Heart Transplant Operation Using 3D Animation and Gestures. Interactive Animation Shows Vital Signs. Futuristic Hospital.Shot on RED EPIC-W 8K Helium Cinema Camera.